Happy Tuesday! 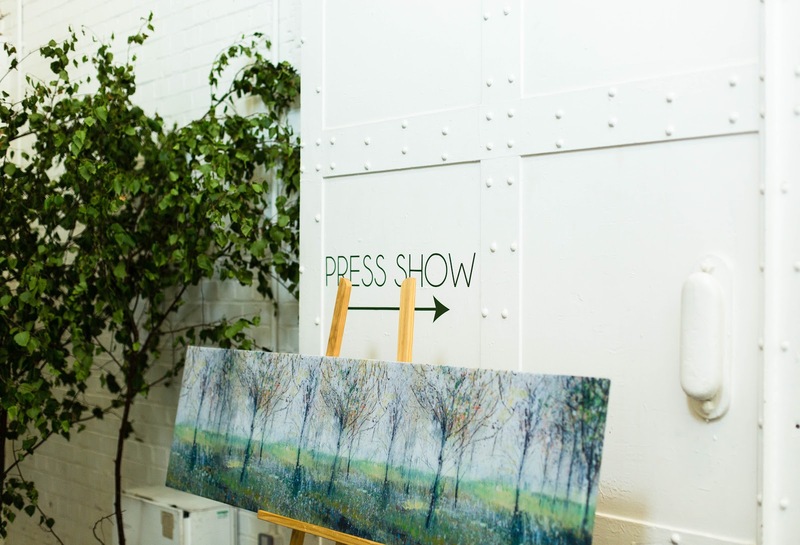 It's officially summer but I had autumn & winter in my mind as I headed to the Laura Ashley AW16 Press Show last week. 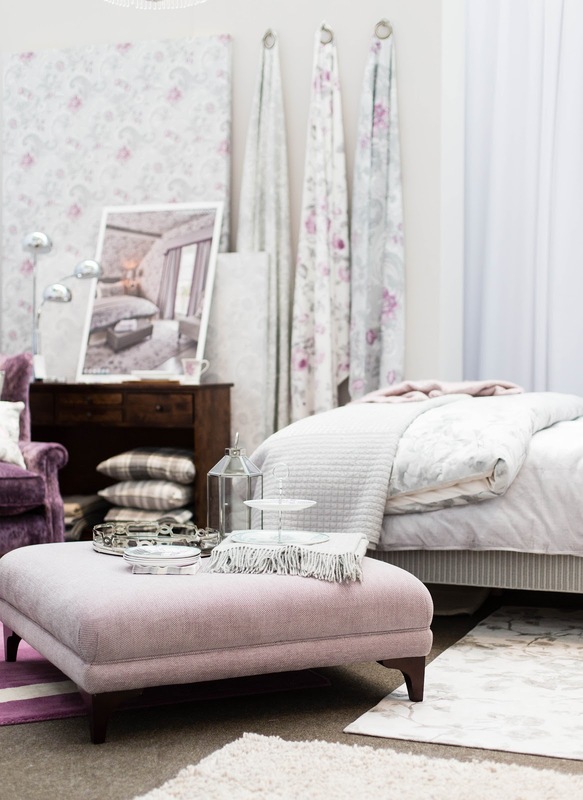 I know most of you are probably not in the right mindset to think about winter décor just yet, although you may change your mind once you have a look at the new Laura Ashley collections! Beautiful pastels and elegant greys were definitely my favourites and their new season accessories were impressive as usual. I am a big fan of the pineapple trend and it's popularity doesn't seem to be slowing down anytime soon. 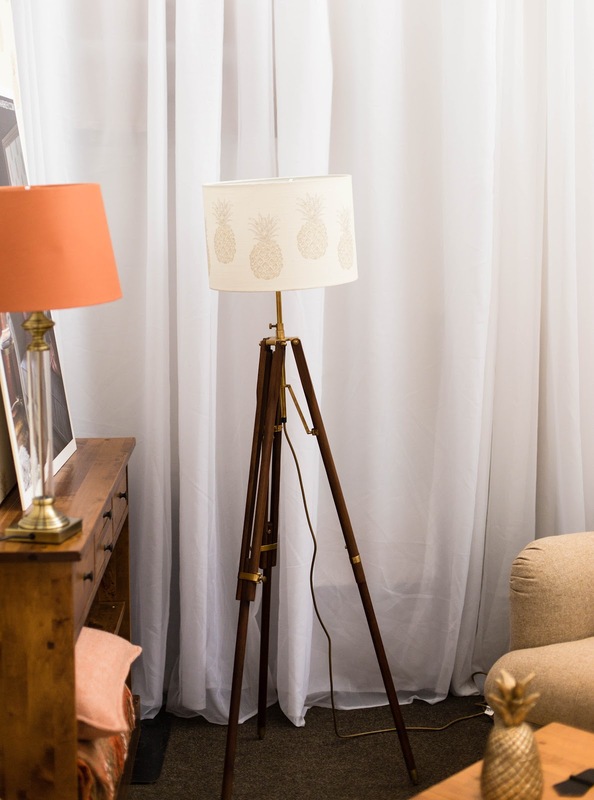 Laura Ashley Pineapple Lamp has been such a success that it is now available in two sizes; medium and large. Pineapple mania doesn't stop there. Now you can buy pineapple candle holders, curtains, wall papers, cushions, lamp shades, mirrors etc. 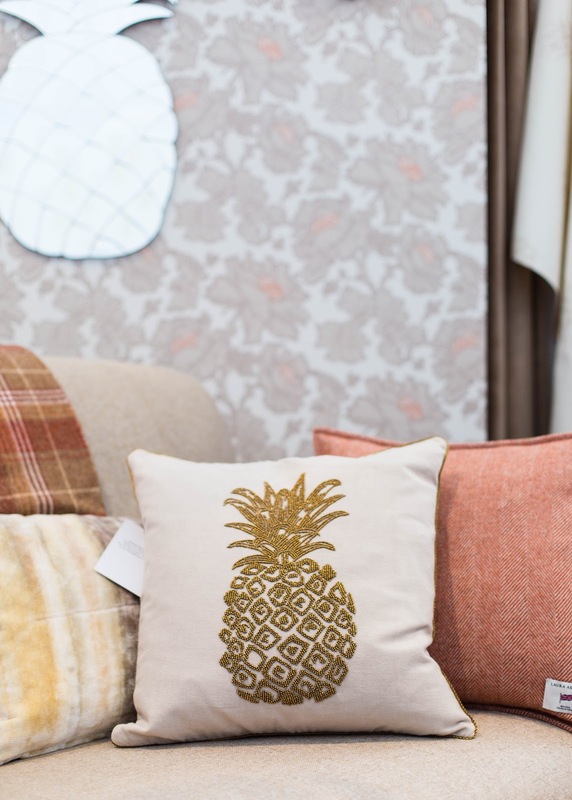 Laura Ashley will be even bringing out new pineapple stationary so there is definitely plenty to choose from. 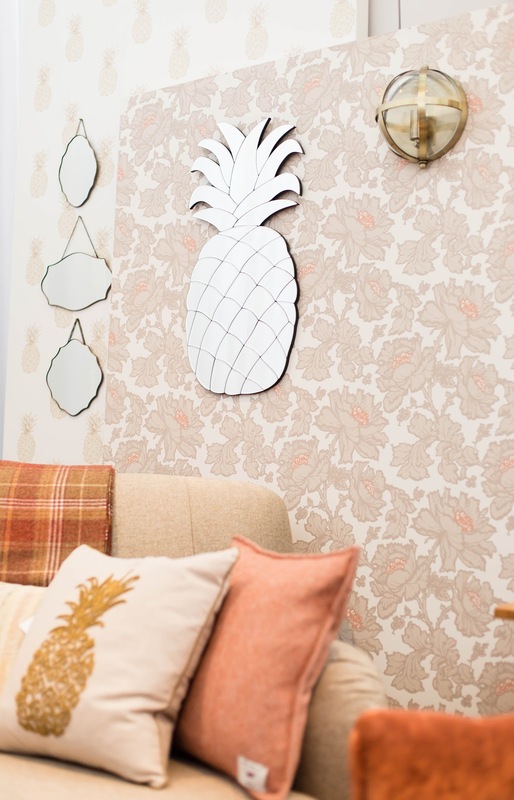 I'm obsessed with the pineapple wallpaper by the way. You could easily make a gorgeous DIY canvas out of it! It's very chic and versatile. Pastel blue has also been a firm favourite of mine for the past year or so. 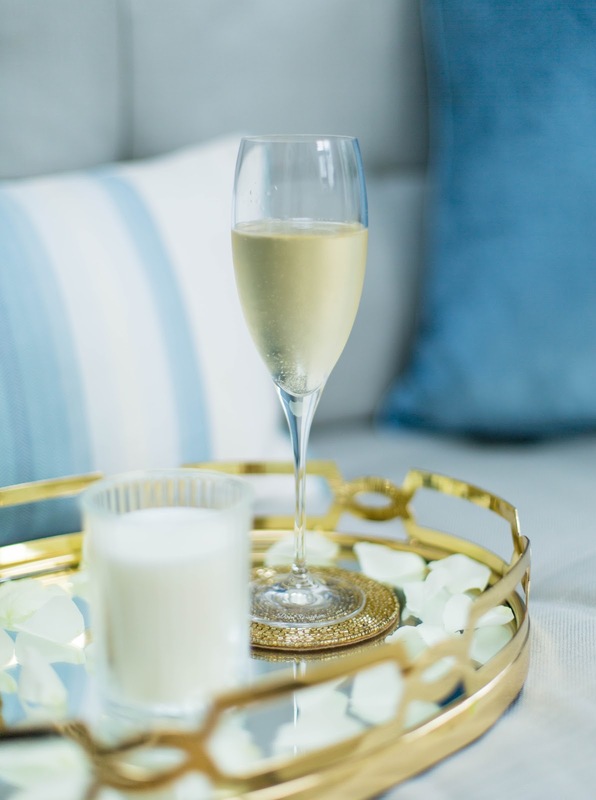 It's so elegant and I even did a piece about it for the Laura Ashley Blog a while ago featuring some new season accessories (read here). 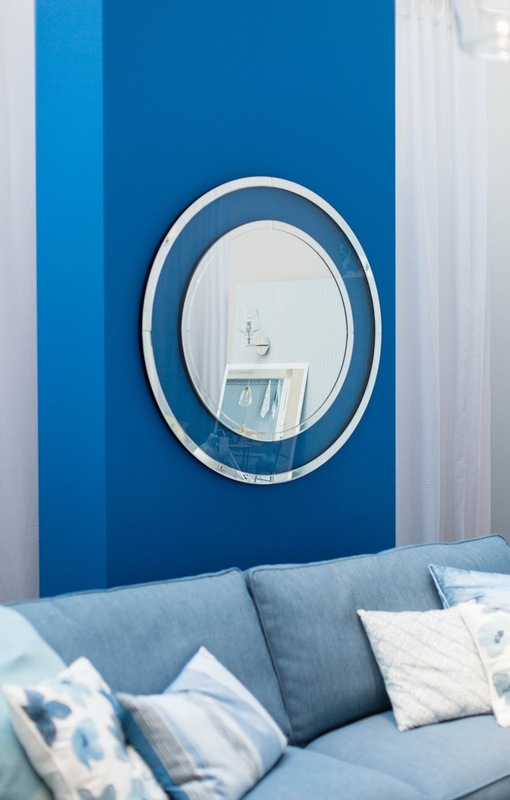 The Evie round mirror (below) was love at first sight. It looks even more stunning in person. I adore the art deco style and it's such a timeless design that you can't go wrong with it. I often think that less is more when it comes to decorating and this piece is a great example of that; so simple and beautiful. 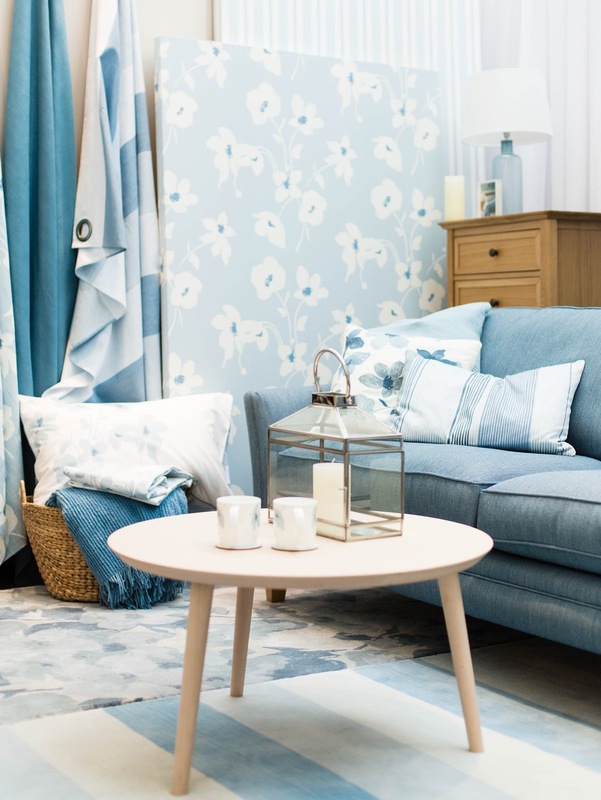 The great thing about decorating with blue is that you can easily mix different shades of blue and they really complement each other. Blue also works very well with light oak furniture and gives the room a nice subtle sophisticated look. 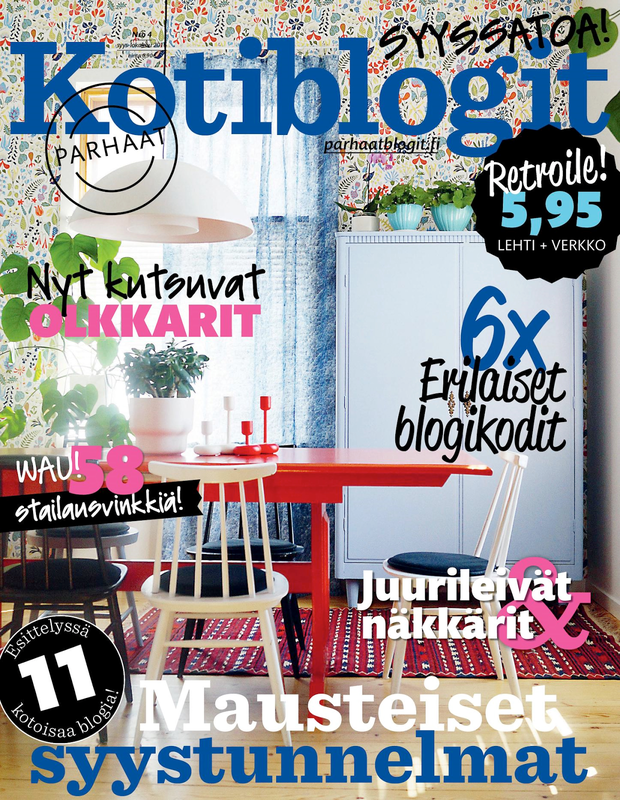 I actually think that this particular style goes well with minimalistic Scandi style furniture but of course you can mix it up with some funky prints or wallpaper if you want to make it a bit more interesting. Now I mentioned about elegant greys before and the new collections showcase them perfectly. Grey is such a timeless colour and with right accessories it can feel very warm and inviting. 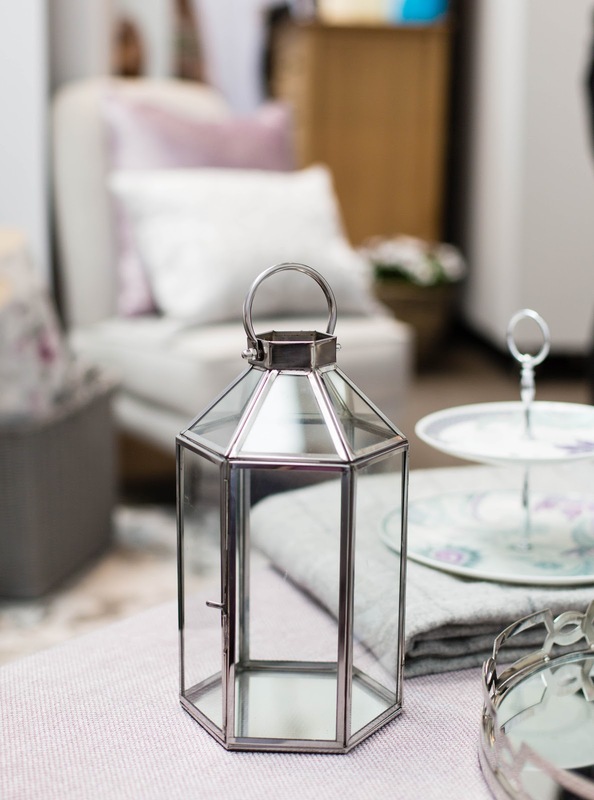 Pop of pink or pastels seem to go particularly well with grey; it definitely brings warmness to the décor in my opinion. 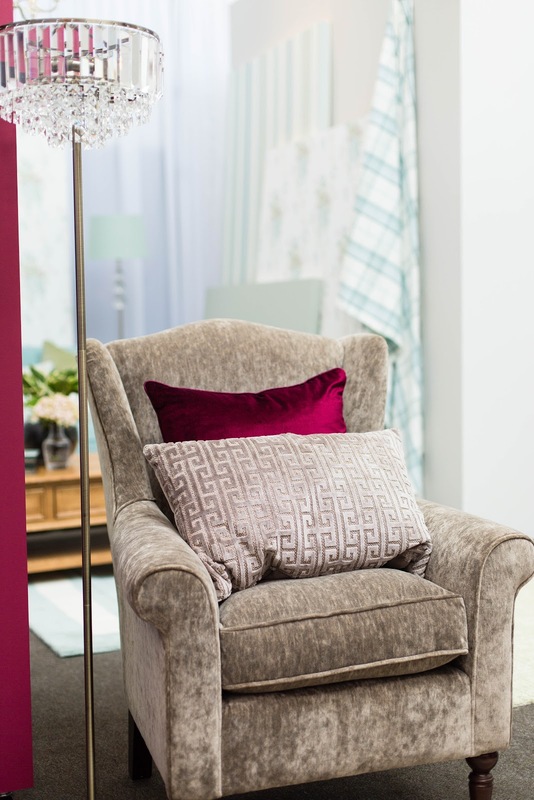 I couldn't take my eyes off this chair and the Lovina Velour Truffle Cushion which looks very luxurious with the striking geometric pattern. By the way, I would love to see this cushion available in other colours as well! The chair is actually incredibly comfortable to sit on. It would be perfect for a bedroom or a small living room. I'm always impressed by the Laura Ashley lighting collections. 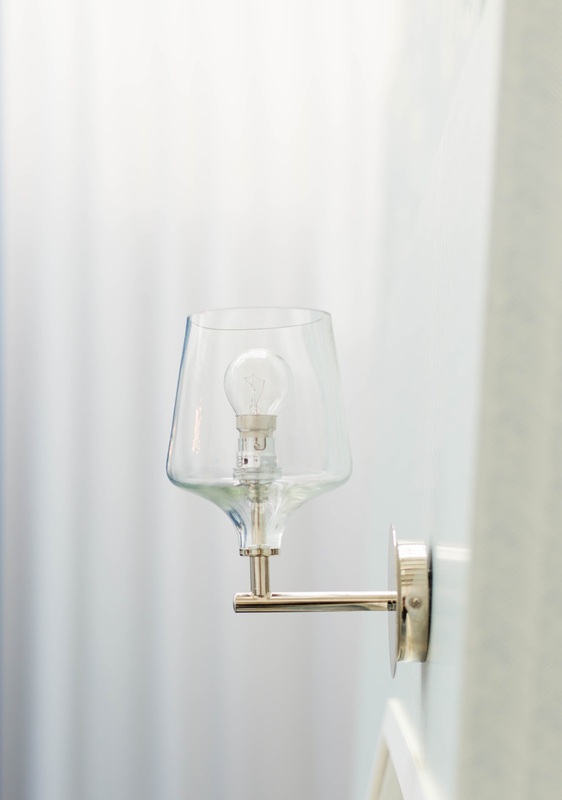 The light fixtures are elegant but there's definitely an industrial trend going on there. 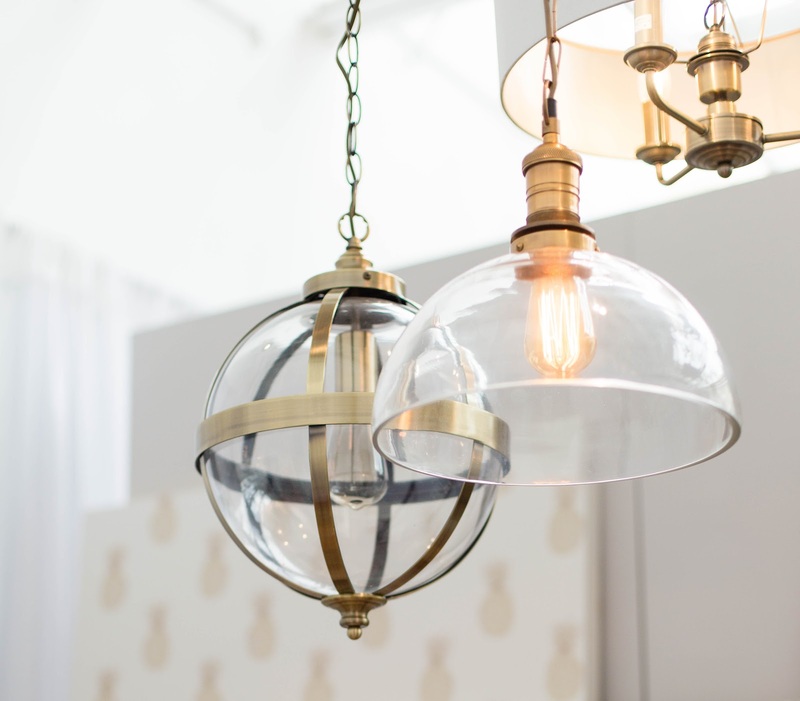 The pendant lights have the most wow factor for me but I don't think I could ever get away with one because of our low ceilings. 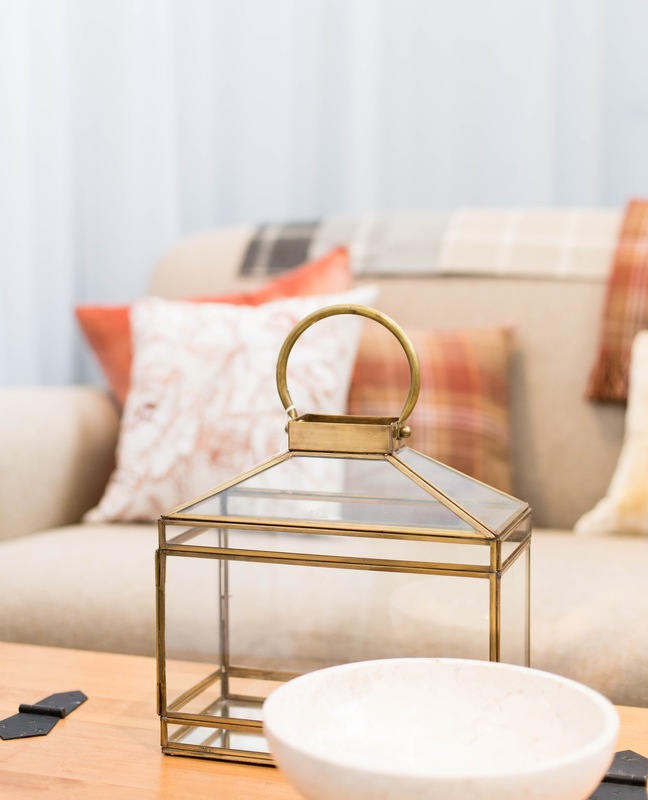 I also love that you can match your pendant lighting with the wall lighting so you can create a consistent look in your home. I have been busy decorating our outdoor living area and lanterns are definitely my 'must have' accessory at the moment. 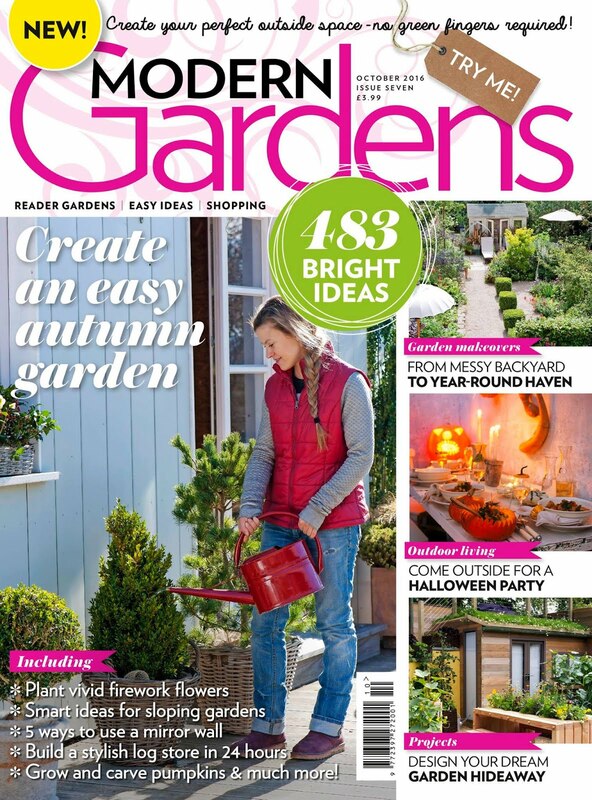 I use the same lanterns indoors and outdoors and Laura Ashley have a great selection to choose from right now . 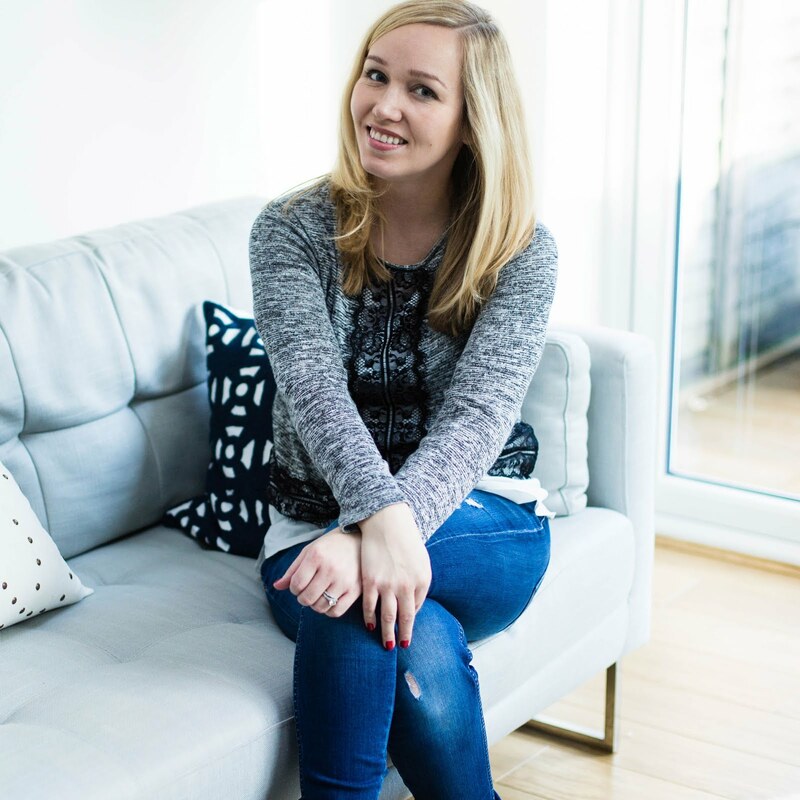 The larger sizes are more statement pieces so I tend to go for them but there's different sizes to choose from if you want to create a specific look. So what did you think of the new collections? I was very impressed and I cannot wait to see them all in the shops in August. 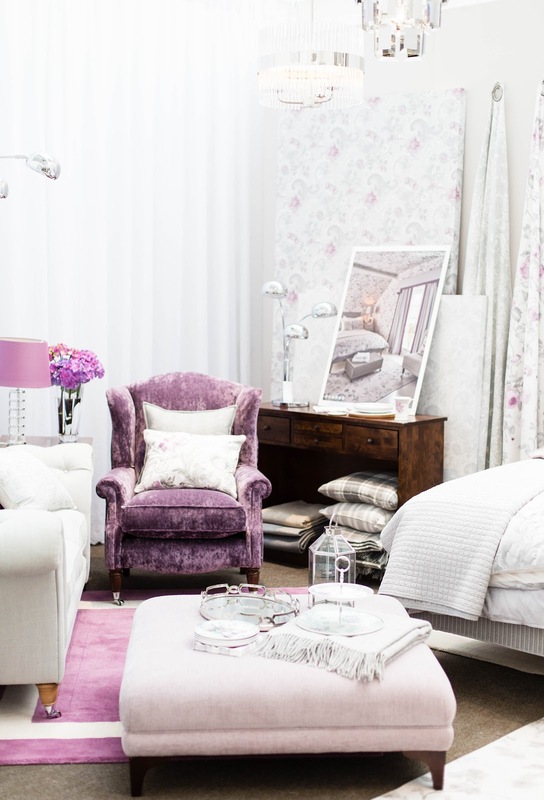 If you want to see the rest of the collections, head over to the Laura Ashley Blog. I really like the direction Laura Ashley is going at the moment. There are plenty of timeless pieces as well as some fun prints and quirky accessories. 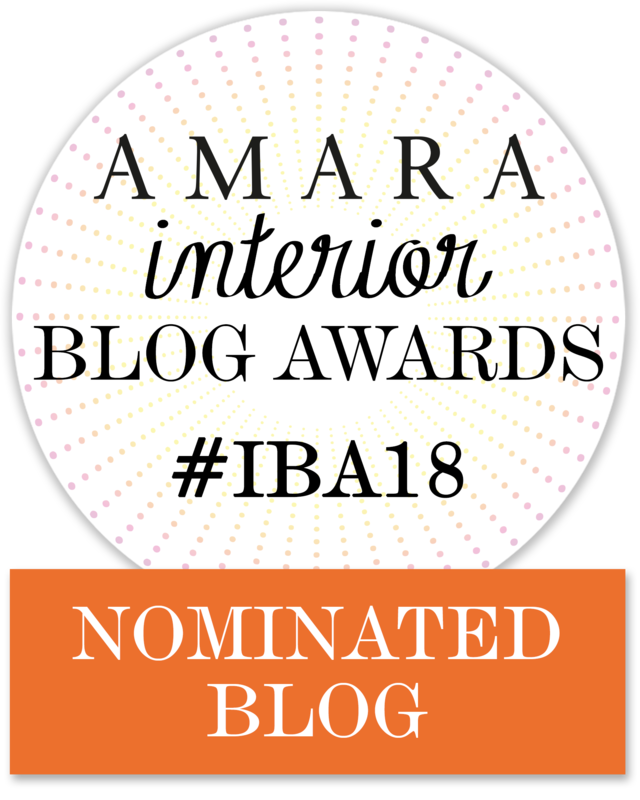 I don't think any of us should take ourselves too seriously and it's nice to be a bit playful with your interiors as well. 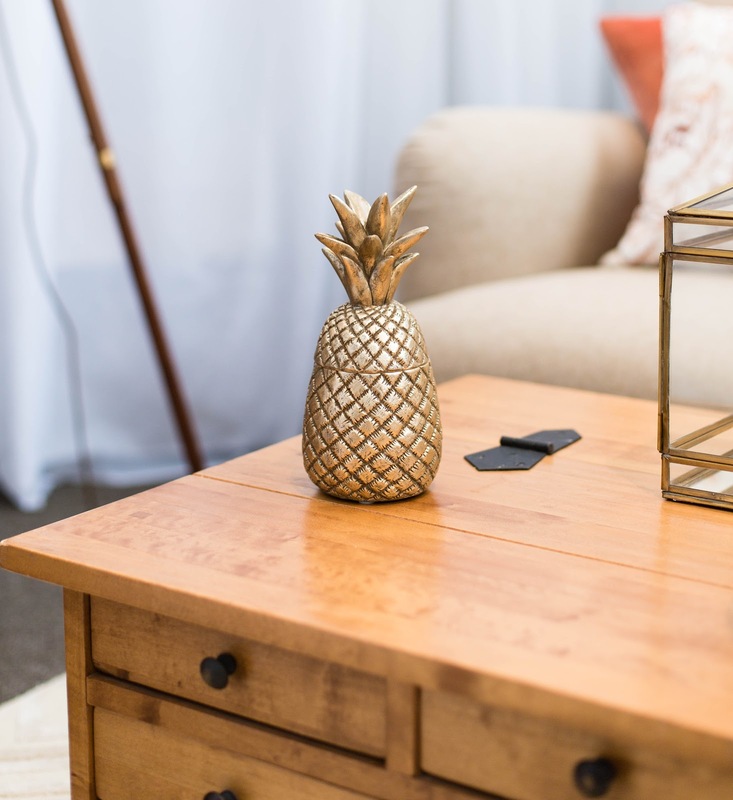 I'm pretty sure we'll be seeing few more pineapple accessories in our house very soon!